The crisp, clean pattern of the CAC China REC-8C Rolled Edge Coupe Plate will fit seamlessly at any table setting in your food establishment. 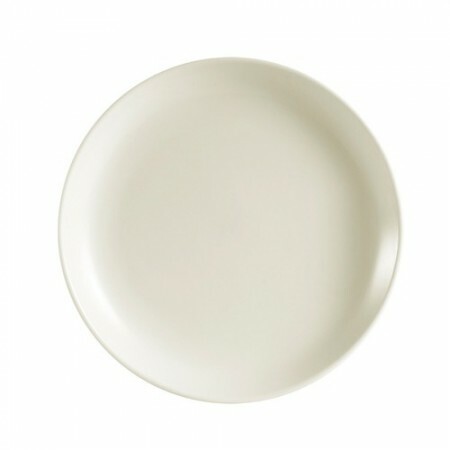 This elegant, yet practical 9" coupe dinner plate is made from American white china and is oven, microwave and dishwasher safe. It is guaranteed to be scratch, chip and break resistant, making it an ideal dinnerware plate that will last for years in your restaurant.